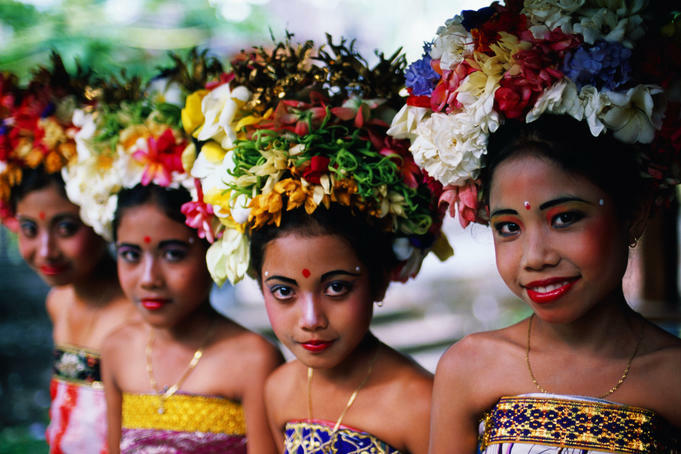 Below is some advice for a trouble-free holiday in Bali. If you do have problems don't forget to contact your nearest consulate. You must have a minimum of six months validity in you passport upon entry into Indonesia and have proof of onward destination. Argentina, Australia, Austria, Belgium, Brazil, Brunei, Canada, Chile, Denmark, Egypt, Finland, France, Greece, Germany, Hungary, Iceland, Ireland, Italy, Japan, Kuwait, Liechtenstein, Luxemburg, Malaysia, Maldives, Malta, Morocco, Mexico, Monaco, Netherlands, New Zealand, Norway, Philippines, Singapore, South Korea, Spain, Sweden, Switzerland, Saudi Arabia, Taiwan, Thailand, Turkey, United Kingdom (Great Britain), United States of America, United Emirate Arab, Yugoslavia, Venezuela. The maximum stay permitted two months and is not extendible. reasonable amount perfume per adult. All movie films and video cassettes must be censored by the Film Censor Board. Fresh fruits, plants and animals must have quarantine permits. There is no restriction on import or export of foreign currencies. However, the export or import of Indonesian currency exceeding Rp.50,000 is prohibited. There's a departure tax on domestic ( Rp. 11,000) and international (Rp. 50.000) flights. Only children under two years of age are exempt. Make sue you have medical insurance before you leave your country. Medical bills can be quite costly and having medical insurance could save your life. Contract your travel agent to get information on recommended medical insurance plans. 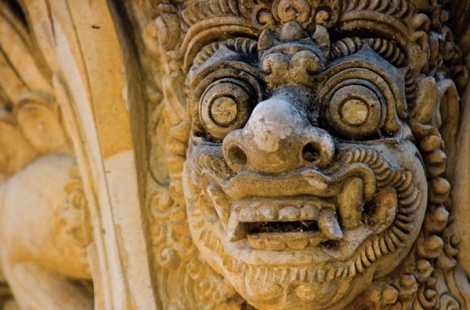 Don't forget, if you extend your travel in Bali , you should also extend your insurance cover. Travellers should be aware that the Blood Bank in Bali normally carries no stock of Rhesus (Rh) Negative blood. You could be robbed at any time. Watch out for pickpockets and bag-snatchers, and always lock your hotel room and car. Keep your valuables (passport, airline ticket, credit cards, travellers cheques and cash) in a safe deposit box at your hotel, or at a bank. Secure the key in your money belt; don't leave it in your hotel room when you go out. Money belts are better than 'bum bags', which are an open invitation to pickpockets. Hide your money belt under your clothes. Carry your handbag on the side of the road furthest from the roadway. Keep copies of your travel documents and emergency contact details on your person. An unattended car can be broken into within minutes. If you are touring in Indonesia, either carry everything with you when you leave the car, or find somewhere to stay first and secure items at the hotel before you go out. If you really need to travel with all your valuables, secure items in various places rather than lose everything if one bag is stolen. To drive legally in Indonesia you must have a current Indonesian or International Driver's License that is valid for the type of vehicle you are driving. If you rent a vehicle and you don't have such a license, you will be driving illegally and your insurer may refuse any claim you make. Insist on paying for comprehensive insurance when you rent a vehicle. Negotiations with vehicle owners and families of injured parties can take at least a week to resolve. If you have organized comprehensive insurance, the rental agency is responsible. You wouldn't ride without a helmet in your own country; don't when overseas. Check your travel insurance does it cover motorcycle riding? Most companies that rent motorcycles only provide flimsy helmets. Bring a proper helmet with you or only rent from a company that supplies them. Wear protective clothing (not shorts and thongs). Characteristics of driving in Bali. Get use to bikes and cars swerving into your lane without indicating. Watch out for large holes in the road or obstacles such as small trees to indicate where holes are. Many food carts and salespeople operate off the side of the road- beware. Merging traffic only give way if they are smaller than you. Every man for himself when entering a round-a-bout. There are many one lane roads and you may have to go quite a distance to return to the same location. Balinese are not use to drivers driving with there parking or head lights on during the daytime. Watch out for drivers, including trucks and buses overtaking on busy roads. Check your travel insurance does it cover water sports? Bali's beaches have strong 'rips'. Only swim between the lifesavers' flags. Don't swim in the sea at night or when the beach is unpatrolled. 'Jet-ski' accidents are common because of the speed these craft travel at. Be careful. Don't 'para-sail' with cheap, unlicensed amateurs. Only use major companies that are insured. Leave copies of your itinerary, passport and insurance policy with friends or relatives. If you don't have any firm plans, make a schedule to call home regularly and stick to it. Update your contact details through the airline you are traveling with (sometimes messages are left with the airline for forwarding). Lost of stolen travellers cheques can be replaced - stolen cash is gone! By the way, the old paper banknotes can be difficult to exchange. Ask you bank about drawing cash from you account anywhere in the world via your ATM keycard and the CIRRUS system. It may be best to have a credit card available just for emergencies? Be careful with you money at money changers. Some money changers have 'adjusted calculators, as well as forget to tell you they have deduct unadvertised commissions and use many other magical tricks to take your money. Try to reputatable authorized moneychagners that do no t charge a commission. Always count your Rupiah yourself before leaving the premises. Don't allow drugs to spoil your holiday in Bali. This in not a general practise in Bali. Most of the larger hotesl and restaurants add a service charge and tax which on average is around 20%. In smaller establishments tips are not expected but appreciated! This office provides the latest information on tourist attractions, interesting destinations, bemo timetables, and ferry services. All staff speaks English. This office provides tourist information for people who want to explore Bali. All the staff speaks English.